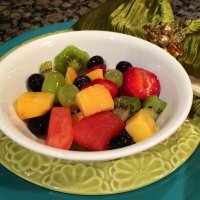 Mix the watermelon, grapes, cantaloupe, strawberries, and kiwi in a bowl with a tight-fitting lid; top with the blueberries. 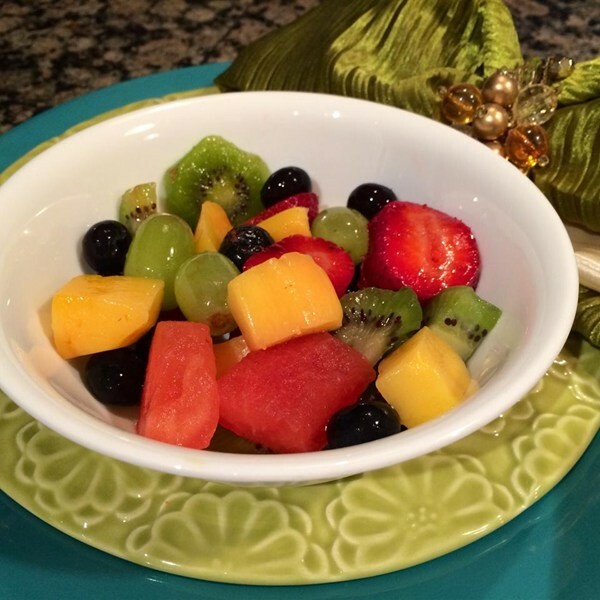 Stir the mint, sugar, and lime juice together in a bowl, crushing the mint with the back of a spoon while mixing to extract flavors; pour over the fruit mixture. Seal the bowl with lid and refrigerate at least 1 hour.